We’d love your help. 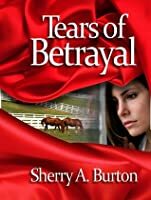 Let us know what’s wrong with this preview of Tears of Betrayal by Sherry A. Burton. When th AMBER’S WORLD IS SHATTERED when her husband Jeff dies suddenly in an accident. On the day of his funeral, in the midst of her grief, she is blind-sided with divorce papers, served only hours before the service. Forced to face how flawed her marriage truly was, Amber finally begins to deal with the lies and deceit that were at the very foundation of her relationship. 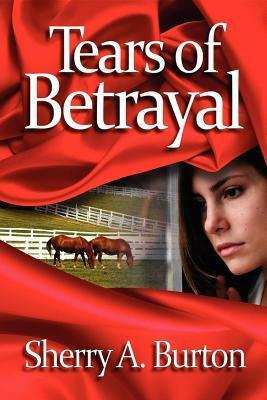 To ask other readers questions about Tears of Betrayal, please sign up. I must give this five stars as I wrote the book and it is my baby! This is also available in Kindle, Nook and ibook! OMG! This book surprised me! Going into it, I didn't really expect it to be as good as it actually was. The book is about this woman, named Amber Mae. She has one 13 year old daughter, Julie, and one douche of a husband, Jeff. They've been together for over a decade, and it turns out that Jeff had been unfaithful to Amber the whole entire time! What a douche, right!? Jeff is always away, never calling to tell her why, and he actually plans on divorcing her and leaving her for another girl (one of OMG! This book surprised me! Going into it, I didn't really expect it to be as good as it actually was. The book is about this woman, named Amber Mae. She has one 13 year old daughter, Julie, and one douche of a husband, Jeff. They've been together for over a decade, and it turns out that Jeff had been unfaithful to Amber the whole entire time! What a douche, right!? Jeff is always away, never calling to tell her why, and he actually plans on divorcing her and leaving her for another girl (one of whom is knocked up by him). But he dies in a car crash, can't say I was sad to see him go. The day of the funeral, Amber is served with divorce papers and the vicious girlfriend/baby momma on the side confronts her in front of everyone there, leaving Amber angry, confused, embarrassed, and just plain sad! But for me the story doesn't really start until her love interest and her meet. Dalton is his name. He has one daughter, Katie Mae, and a nanny, Maggie. He's a widow as well, but he just couldn't seem to find the right woman until he sets his eyes on the raven-haired beauty, none other than Amber. I loved the whole entire book overall. I will say that the first half of the book wasn't nearly as exciting or enticing as the second half, which is why it's 4 stars and not 5 stars, but the second half definitely made up for it. I will definitely be buying Burton's next book, Somewhere in my Dreams, which will be coming out in Feb 2012! Recommends it for: anyone wanting to read a good love story. If you are looking for a good book about love and betrayal and a happy ending, you will find it here. Amber learns to cope with a marriage that was not what she thought it was and learning how to love again. She finds true love when she least expects it and learns she can have the love that she has always wanted. This is a great book. I would read more from this Author. Of course I love this book I wrote it! I would say 4.5 stars.... I just read this book again in anticipation of the sequel "Love in the Bluegrass". It was better than I remember. I loved that it was not your stereotypically romance style book. I was drawn to the book because it was set in my home state of Michigan. It was easy to relate to the characters. I would highly recommend this book to anyone who loves a good romance. Great story by a great author. Though the writing style was good, I had many issues with the content of the story and characters. At about 60 percent mark is when Dalton and Amber finally meet, then wham! Insta-love in two pages. At this point, Pros: It was a fast read and even though I rolled my eyes several times, the story was well written. Most of the book takes place in Michigan, which is fun. I LOVED THIS BOOK.... It is a wonderfully written love story that I had a hard time putting down. I found myself wanting to jump to the end just to see how it ends (but I didn't). I laughed and cried while reading feeling every heart warming emotion. The in-depth witting makes you feel like you are in the story and holding your breath till the final page. I can't wait for the sequel because these two burned up the pages. I found myself wanting to read it again and again. If you love Johanna Lind I LOVED THIS BOOK.... It is a wonderfully written love story that I had a hard time putting down. I found myself wanting to jump to the end just to see how it ends (but I didn't). I laughed and cried while reading feeling every heart warming emotion. The in-depth witting makes you feel like you are in the story and holding your breath till the final page. I can't wait for the sequel because these two burned up the pages. I found myself wanting to read it again and again. If you love Johanna Lindsey and Nicholas Sparks then you will love this book. Sherry A. Burton is my new favorite author!! This is a book that has been on my radar for years, and I'm glad I finally read it. Amber and Dalton are characters who have both been through very tough times and carry lots of baggage. Even so, I really liked both of them. I enjoyed the storyline of them finding one another, and I liked watching their relationship develop. An excellent read, once I started I found it hard to put down. I would recommend to anyone. Sherry A. Burton was born in Kentucky and married a Navy man at the age of eighteen. She and her husband have three children and seven grandchildren. After moving around the country, and living in nine different states, Sherry and her husband retired to Michigan's thumb, where they had previously spent fourteen years. Sherry writes full time and is currently hard at work on the second installment of her planned eighteen-book Orphan Train Saga. When Sherry is not writing, she enjoys traveling to lectures and signing events, where she shares her books and speaks about the Orphan Trains.